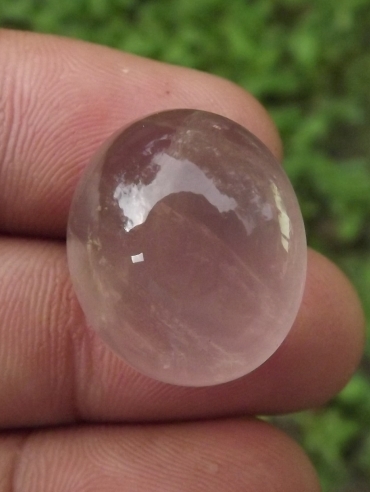 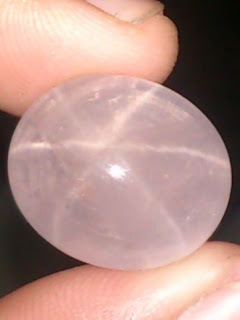 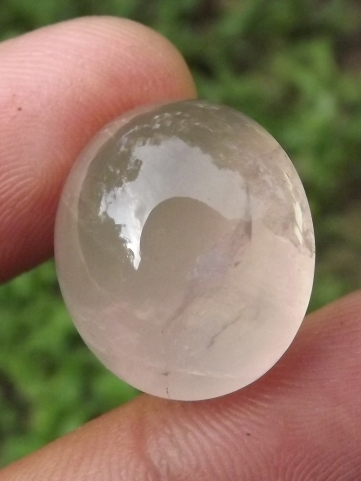 This is a good natural Star Rose Quartz with a strong asterism phenomena. Thera are some smooth fracture inclusions inside but the gems is still beautiful. 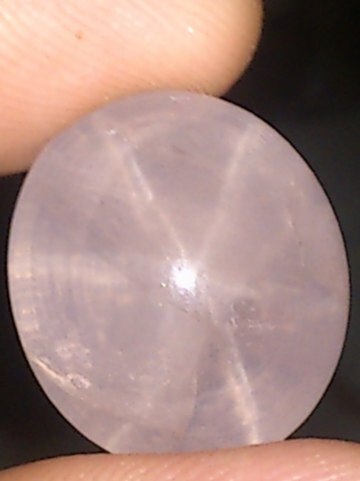 The dimenison of this rose quartz is 21mm x 18mm x 14,7mm. 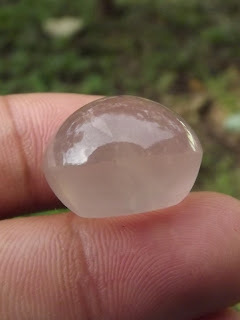 This is a nice natural Star Rose Quartz for your precious gems collections!